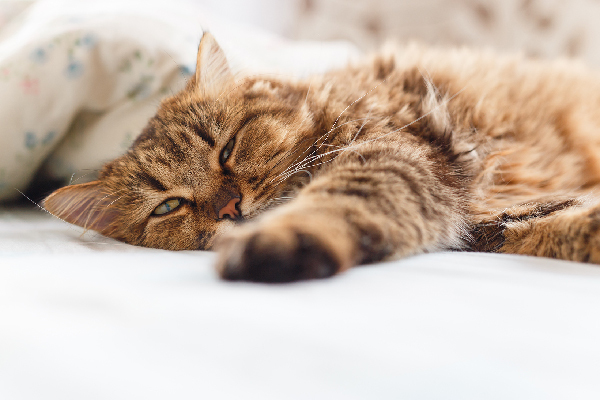 A shy cat who seems afraid of her new home can be frustrating, but there are some things you can do to help ease cat anxiety. A while back, I wrote about Tara, the “surprise kitty” who came into my life a couple of months ago. Well, it turns out that my surprise kitty is also a very shy cat. She loves people, but she’s easily overwhelmed by her environment and by other cats, so I’ve been working with her in hopes of helping her learn to enjoy the whole house and her feline roommates. Here are some tips based on my experience with Tara. Tara gets some love from her mama. Photography courtesy JaneA Kelley. Sure, this is classic New Cat 101, but it’s especially important when you’re dealing with a fearful or shy cat. One room gives her a reasonable amount of space to call her own but won’t overwhelm her with too much newness all at once. One of the primary causes cat anxiety is the feeling like she’s walking into a home that belongs to other cats. A shy cat feels this overwhelming sensation even more. 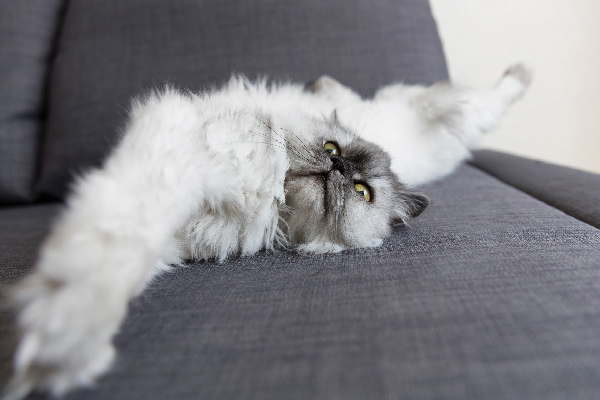 Feline “happy cat” pheromones, whether in the form of a plug-in diffuser, spray, wipes, or collars, can go a long way to help relieve a cat’s territorial anxiety. Whenever your shy cat comes out of hiding, tell her how brave she is and give her lots of love. 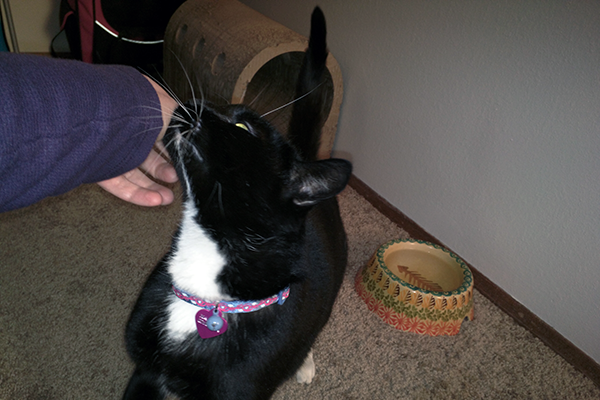 Tell your shy cat how brave she is when she comes out from hiding and allows herself to be petted. Do this often. The more you say it, the more you’ll believe it, and the more you believe it, the more she’ll believe it. I made this mistake for a while with Tara: I’d pet her while she was hiding in the closet, which got her thinking that hiding leads to good things. As soon as I realized I was reinforcing behavior I didn’t think was helpful for her, I refused to pet her while she was in the closet. I’d just give her a sad look and say, “I wish I could pet you, but I just can’t while you’re in there.” Eventually, she got the point. When your shy cat hides, don’t reinforce the behavior by petting or giving food. Play is a great way to build a shy cat’s confidence. 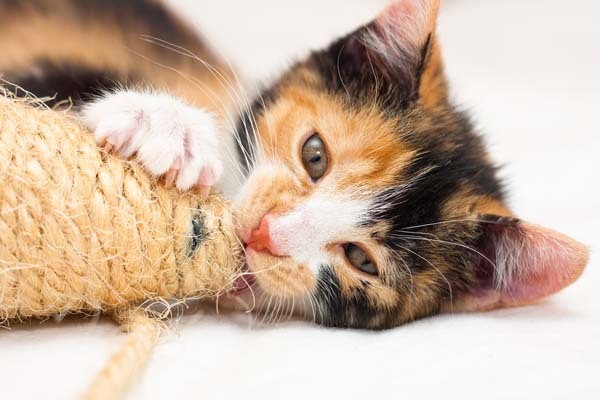 Of course, if your shy cat is anything like Tara, it’ll take quite a while before she’ll feel comfortable enough to engage in any interactive play. But don’t give up; she’ll come around eventually, especially if you’re using a super-tantalizing toy. A challenge line is one past which you can’t go before a cat has a negative reaction, whether that is attacking or hiding. Tara is extremely food-motivated, so by gradually moving her dish closer to the door, I’ve been able to expand her horizons — even if those horizons run from one side of my bedroom to the other. I feed Tara by the door of “her” room to give her more ownership of the space. After Tara’s confidence started to rise and she realized I wasn’t going to pet her while she was in the closet, I made it impossible for her to open the closet and get inside by wedging a thick piece of folded cardboard between the sliding doors. Trust me, she tried; I heard lots of plucking and rattling at the closet door, but she eventually realized she wasn’t going to have that hiding spot anymore. She’s coped just fine. Sometimes shy or fearful cats need a short course of psych meds to break out of a negative cycle. I did go this route with Tara, and I kind of wish I hadn’t waited so long. Shortly after she got her first dose, I picked her up and brought her into the living room with me; she settled onto my lap and purred for hours. I admit that is the first and last time she’s felt that comfortable in the living room, but I haven’t given up on meds yet. It takes patience and persistence, but sooner or later your shy cat will come around. Have you had a shy cat or dealt with cat anxiety before? What did you do to help her feel more courageous and start exploring all of her environment? Please share your tips in the comments. Sorry to hear about this. 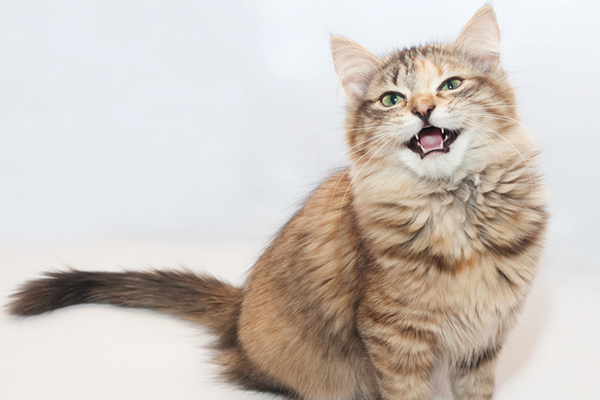 We suggest trying to get your cat to come out using some tasty food or treats or maybe catnip. We also suggest contacting the shelter / rescue where you got her for specific advice.